Mallam Nasir Ahmad El-Rufai is a Nigerian politician and member of the All Progressive Congress (APC) party. He is currently serving as the Governor of Kaduna State, having been elected in the 2015 general elections in Nigeria. El-Rufai has previously held the positions of Director General of The Bureau of Public Enterprises, and the Minister of the Federal Capital Territory, Abuja. Nasir Ahmad El-Rufai was born on the 16th of February, 1960 in Daudawa, Faskari Local Government Area of Katsina State, Nigeria. He was raised by his father until his death when he was 8 years old. This led to him moving to Kaduna State to live with an uncle who sponsored all of his school education. As a result of this, El-Rufai now sites his state of origin as Kaduna State. El-Rufai got his secondary school education at the prestigious Barewa College, where he graduated top of the class, winning the coveted “Barewa Old Boys’ Association Academic Achievement” Trophy in 1976. A notable attendee of Barewa College during the time he was there was the former late President of Nigeria, Umaru Musa Yar’adua, who was the House Captain of Mallam Smith House, Nasir’s dormitory as a junior. He continued his education at Ahmadu Bello University, Zaria, earning a Bachelors degree with First Class Honors in Quantity Surveying. Since the completion of his undergraduate degree, El-Rufai has attended post-graduate programs at the famed Harvard Business School and Georgetown University. He also added an LL.B degree with Second Class Honors, Upper Division, from the University of London, and a Master’s Degree in Public Administration from the John F. Kennedy School of Government, Harvard University. El-Rufai’s first stint with the government began under the transition government of General Abdulsalami Abubakar, where he served as an adviser. Before that, he and three other partners established a Quantity Surveying and Project Management Consulting firm which made him a multi-millionaire even before his foray into government work. Following the 1999 elections, he was appointed Director General of The Bureau of Public Enterprises, Nigeria’s head privatization agency, and also the Secretary of the National Council of Privatization. Between 1999 and 2003, he spearheaded the successful privatization of many government-owned companies. El-Rufai went on to serve as Minister of the Federal Capital Territory, Abuja from July 2003 to May 2007. During his tenure, he was nicknamed Mr. Demolition for destroying illegal buildings in the capital city, one of which included the house of the Chairman of the ruling party in Nigeria at the time. In 2007, the newly elected President of Nigeria, Umaru Yar’adua, appointed El Rufai to the National Energy Council that year, due to the belief that he could contribute positively to the under-achieving power sector of the country. He held the position until June 2008 when he resigned. During his tenure, he chaired several high-profile cabinet committees that led to the establishment of a mortgage system, National ID card system, Electric Power Supply Improvement and the sale of Federal Government real estate in Abuja. In 2015, he successfully campaigned for the Office of the Governor of Kaduna State and was elected in a landslide victory, beating incumbent governor and candidate of the People’s Democratic Party, Mukhtar Ramalan Yero. Nasir El-Rufai has three wives; Hadiza, Asia, and Ummi, as is permitted by his faith. Not much is known about them except Hadiza El-Rufai. She is his first wife, who is an architect, writer, and novelist, and has been described by her husband as his best friend for over 30 years. She is currently serving as the First Lady of Kaduna State having served as the First Lady of FCT during his four-year tenure as Minister. Nasir and Hadiza have a daughter named Yasmin who died in her London flat in 2011 while undergoing a law conversion course. In her honor, her parents have set up the Yasmin El-Rufai Foundation which will focus on creative writing and women literacy programmes that will improve the literacy skills among women and children. El-Rufai is a Muslim who describes himself as an accidental public servant. He has, however, said that his vision is to work for a truly united Nigeria where tribe and religion don’t matter but merit does. In 2008, El-Rufai appeared before the Senate Committee on FCT to explain some exposed and corrupt actions of his administration. The Economic and Financial Crimes Commission had previously invited the former minister to account for almost $250 million but he repeatedly refused to appear before the commission, instead directing them to his lawyers because of the view that the EFCC was incompetent and was being used as a tool to witch-hunt him. 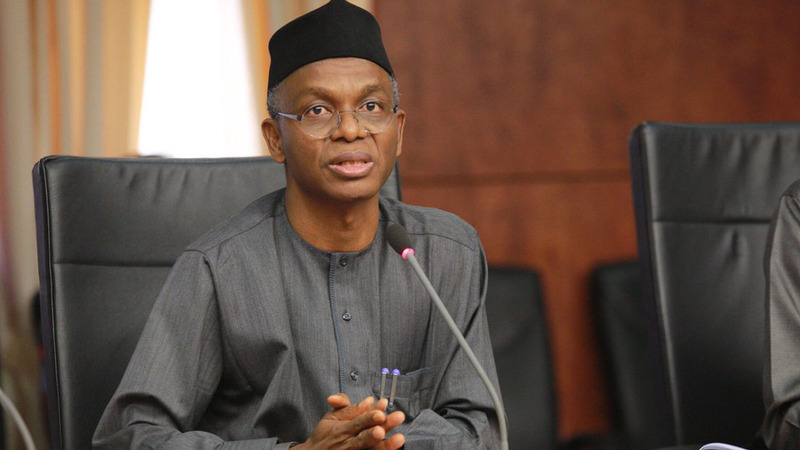 El-Rufai has published an essay on President Umaru Yar’Adua’s time in office titled “Umaru Yar’Adua – Great Expectations, Disappointing Outcomes”. In the essay, he revealed aspects of the president’s life history, habits, and statecraft, as well as the performance (or lack of it) of the administration. The essay has become a reference point for evaluating the Yar’Adua Administration.